Always one to think ahead, I wanted to get your feedback on the next book for the bookclub. We only have a few chapters left of The Omnivore's Dilemma, which I'll be posting questions for in two weeks. After that, we'll be done with the discussion for this book. I would really like to discuss this book. I am waiting for it to arrive from Chapters.ca and I really hope it isn't back ordered like The Green Book was. Your Right to Know: Genetic Engineering and the Secret Changes in Your Food by Andrew Kimbrell might be a good companion to The Omnivore's Dilemma. It's a practical guide about GMO's and how to ferret them out at the supermarket. Don't know that a lot of people know about the extent to which genetically modified foods have invaded the foods we eat, but considering how we all like to eat (need to...), it's probably good knowledge to have. Oh, and by the way, thank you for introducing me to Michael Pollan's book. I've gone vegan because of it and couldn't be happier. Keep sharing your inquisitiveness with the world, Crunchy Chicken! 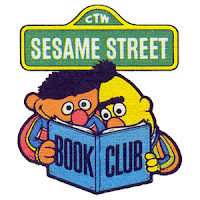 I've enjoyed the book club. I don't know what book I'd like to do next. I'm not familiar with most of the ones you mentioned, except Animal, Vegetable, Miracle which is a great book but I'm not sure it would make a good discussion. I've been reading Grub which I really like. I just started Jane Goodall's book Harvest for Hope and it seems good too. I guess it depends on if you want to stick with food or move to another environmental topic? Whoops, forgot to identify the book I meant in my earlier comment: It's the Heat book I would like to discuss. I've voted for "Heat" as I'm trying to educate myself more on the global warming crisis. It would be interesting to see how my fellow readers respond to the suggestions made in the book. Could make for some lively discussions!